When it comes to cosmetic dentistry, there are many treatment options for restoring or enhancing the beauty of your natural teeth. 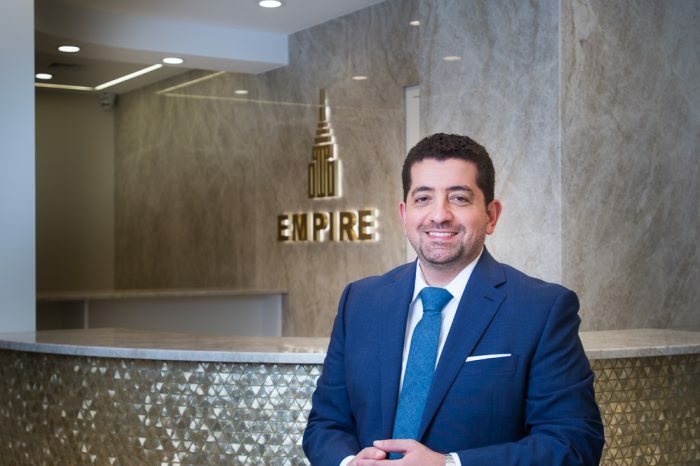 New York City cosmetic dentist, Dr. Husam Almunajed of Empire Dental Aesthetics, shares his thoughts on bonding, crowns, veneers and other smile-enhancing treatments. 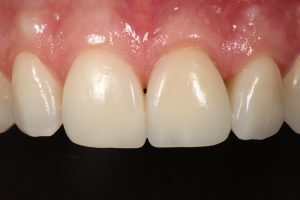 Until recently, the only cosmetic dentistry method available for improving the smile was porcelain fused to metal—your typical crowns or caps (and their obvious appearance when done improperly). 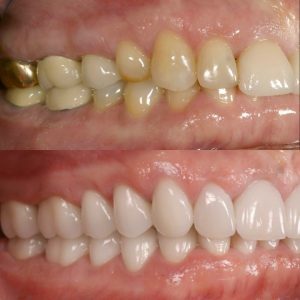 With the development of new techniques, crowns or caps are no longer the only option for fixing the appearance of your front teeth, yet I still see countless patients with crowns where much more conservative treatment options could have been used. Even though crowns or caps get a bad rap, they can look gorgeous when done well. Most patients don’t know that not all crowns are the same and that there are a variety of choices. There are metal crowns, porcelain crowns and the common porcelain crowns with a metal supporting structure (the ones with the gray margins that we all hate). And each type of crowns has many subtypes. Below is a female patient who came in unhappy with her four front crowns. From a smile and cosmetic dentistry perspective, they are fine, but she felt something was missing. The “before” looks somewhat artificial, and I know this is what prevents many people from getting cosmetic dental work. In the “after,” the new crowns have a different look, with a proper form and shape that fits the patient’s lips, and more importantly, her face as a whole. (I wish I could show her full face because these little changes make a big difference!) Crowns are not limited to simply replacing an original tooth, but can be designed to create a more aesthetically-pleasing appearance. 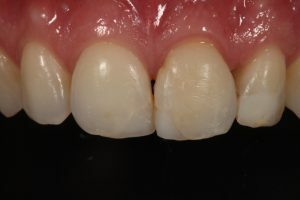 Crowns are a great restoration method, but bonding can be a treatment choice as well. 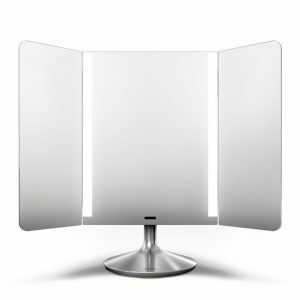 Typically, bonding is less of an investment, but can look very beautiful when done well. I usually recommend bonding for younger patients so we can get results very conservatively. I often replace old bondings because they can easily upgrade a patient’s look if they start to fail. In the photos below, you can see a young patient with failing bondings that have improper contours. In the “after” photo, you can see the new bondings that mimic natural teeth thanks to an emphasis on the proper form and color. 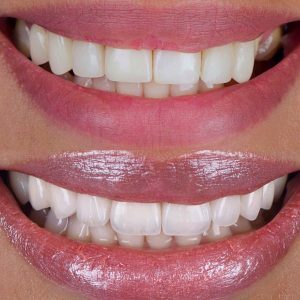 Veneers are a great minimally invasive cosmetic dentistry treatment that yields amazing results—but there are a lot of misconceptions. I recently had a patient tell me they wanted all their teeth extracted and have porcelain veneers placed. I had to explain that veneers are thin pieces of porcelain placed over the patient’s natural teeth. Veneers are an effective option in instances when the original tooth (or teeth) has developed poor color, shape or contours. Veneers are also a good choice for fractured teeth, gaps between the teeth and in some situations when tooth position is compromised and there are minor bite-related problems. 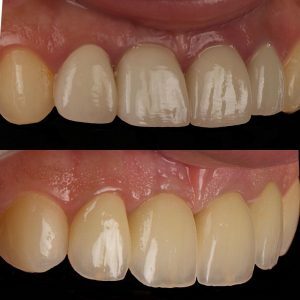 Many patients also don’t know that veneers can often be applied with minimal prepping (and sometime none at all), hence the prep-less veneers. While some cosmetic dentistry procedures are easy to reverse, veneers are much more difficult to correct. Patients with a botched job literally have a foreign object on top of their tooth rather than a porcelain veneer that has become part of a new tooth. There’s a big distinction between the two. Below is a patient who had a previous veneer treatment done, and wanted a second opinion about how she could enhance her smile. For a long time, cosmetic dentistry has been based solely on the parameters of the mouth. I take a different approach and base my approach on static and dynamic facial aesthetics—and enhancing the aesthetics of all aspects of the face. I designed and fabricated new veneers with the proper shape and structure that not only fit her smile frame and lips, but more importantly her entire face for a harmonious result. Teeth whitening remains one of the most economical ways to enhance your smile. Commercially available tooth whitening systems have become popular, mainly because they’re relatively inexpensive and easy to use. However, tooth whitening in a dental office is the preferred method because stronger agents are used, and the rest of the mouth (including the gums) is protected from these bleaching solution. 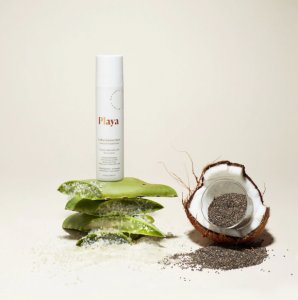 Tooth whitening can be long-lasting with proper oral care and maintenance with a whitening product at home. There’s an art to designing a smile, and it’s crucial that a cosmetic dentist understands how changes to the teeth can affect the look of the face as a whole. The teeth support the lower third of the face and are a critical component to overall facial beauty and harmony. One doesn’t exist without the other. It’s all about taking a comprehensive approach to each patient, not only looking at their facial contours, but at who they are as a person. Teeth carry a lot of personality and if done correctly, cosmetic dentistry can add character—in addition to optimizing the appearance of the one set of adult teeth you get (as conservatively as possible, of course). Full-mouth rehab with new veneers and all-ceramic crowns.